You have done your research and have decided that solar panels are an excellent way to improve your home’s value and efficiency. But how do you protect this major investment? In the event of a product malfunction or a mistake in the install process, a solar warranty will keep you covered. The good news is that solar panels are well-known for being durable and reliable, and will generally function flawlessly throughout their lifespan. 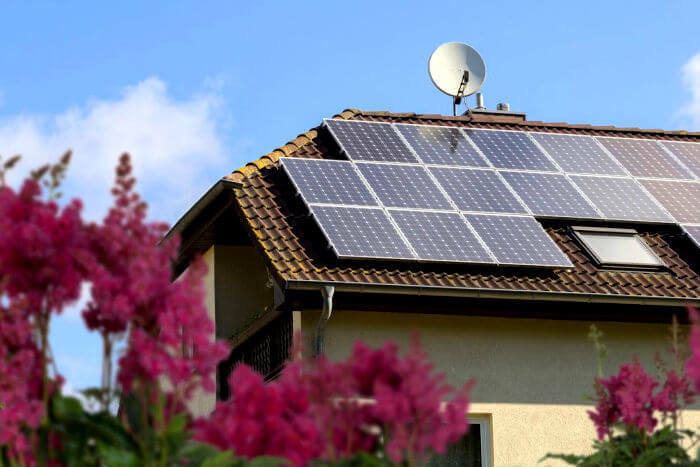 But in the unlikely situation of a problem, there are two broad solar warranty categories that will typically come into play: manufacturer warranties and contractor warranties. Together, the two categories should entirely safeguard your solar installation, from installation to parts and labor. Manufacturer Warranties: Most manufacturers guarantee their solar panels will produce electricity and operate free from defects for 25 years. That includes the guarantee that their panels will be free of defects, and that they will cover replacement and labor should a product-end problem arise. However, be aware that those warranties differ from solar panel manufacturer to manufacturer. Contractor Warranties: This type of warranty comes from your solar contractor, and it guarantees their workmanship on the installation. In essence, these warranties guarantee that a solar contractor’s work will cause no roof leaks or damage to your new solar panels. Both manufacturer and contractor claims are usually handled via your solar contractor, who will take the hassle of handling any warranty claims off your shoulders. Also of note: more so than manufacturer warranties, solar contractor warranties are often negotiable to better meet your unique needs. And even if problems of workmanship arise after the solar contractor warranty has lapsed, a trusted contractor will usually provide certain support. All applicable warranties should be available in detail for your review. These documents should list the problems and remedies that are covered in the agreement, the duration of the warranty, and how problems with your solar panels will be addressed. Though the exact terms of your solar warranties will vary based on your contractor and manufacturer, here’s a brief list of terms you can expect to see. Solar Panels- Should your panel fail due to faulty wiring, corrosion or warping, the equipment warranty will make sure it’s replaced at no cost. Inverters- A solar inverter transforms the electricity your panel produces to be used within your home. In general, your inverter will be covered to last for about half the lifespan of your solar panels. Batteries- Depending on your situation, your solar installation may include a battery system. Manufacturer warranties for a home battery system typically last for 5 to 10 years. Power Production Warranty: Your panels will also be guaranteed to generate power throughout their lifespan. If your production rate isn’t what it should be, this warranty will kick in and the manufacturer should repair the panel. Panels may be guaranteed on a linear scale, meaning they should produce an expected amount of power parallel to the same day on the previous year. Or, they may be covered under an annual warranty, meaning your panels will produce a certain percentage of their rated power by the end of each year after installation. Installation warranty: The their trusted solar contractor can be extensive, with many steps for your contractor and their installation crew. Your contractor’s installation warranty will cover any roof penetrations or other damage to your roof caused by the installation crew. How do you know if a warranty option is right for you? The first step in evaluating a solar warranty is to read it carefully. As shown above, there are many aspects of a solar warranty, so it’s understandable to feel daunted. At Modernize, we encourage homeowners to review warranties with their trusted solar contractor, who can utilize their experience to answer questions, help explain the differences in warranties from manufacturer to manufacturer and explain any language that you don’t understand. How long is the warranty valid for? The scope of warranties often differs between brands and contractors. Find one that makes you comfortable that you’ll be getting all the bang for your buck in the long term. What components does the warranty cover? Be sure to ask what parts are covered in your solar installation warranty. Ideally, all parts (including power production) will be protected. Does the warranty cover labor? Similar to covering the various parts of a solar panel, a manufacturer’s warranty may not cover the labor costs of replacing a defective product. Your solar contractor may also have special fees related to labor in their warranty. What situations would void the warranty? Solar system warranties can be voided if your system is mismanaged. Be sure to know what actions you can take to avoid that, such as making repairs yourself or failing to properly trim nearby trees. As with many home renovations, finding the right contracting partner will be a big help in nailing down the specifics of your solar warranties. Let Modernize help you find the right solar contractor who can help you take the first step of your solar journey.